REGISTRATION and First Class will be on Saturday, September 15, 2018 from 10:00am to 1:00pm. We are pleased to announce our location for the Ferdowsi School of Long Island in Glen Head, at the Brookville Reformed Church, 2 Brookville Road, Glen Head, NY 11545. This location is centrally located and easily accessible to accommodate our growing student body. Tuition for first child is $700 and each additional child is $650 for the 2018-2019 school year. 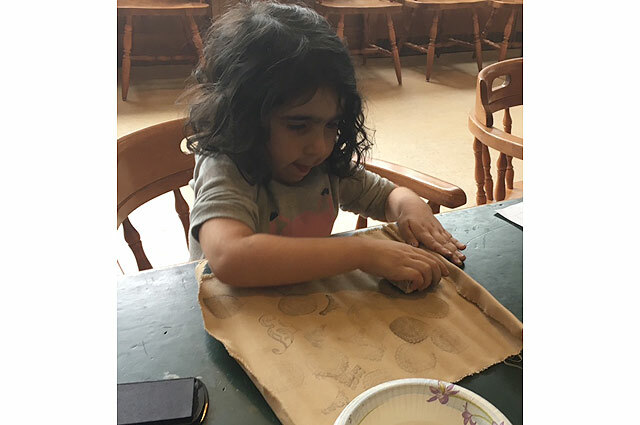 The Long Island Ferdowsi School will offer Farsi, Iranian art and culture classes for students ranging from beginner to advanced levels, including special classes for adults. 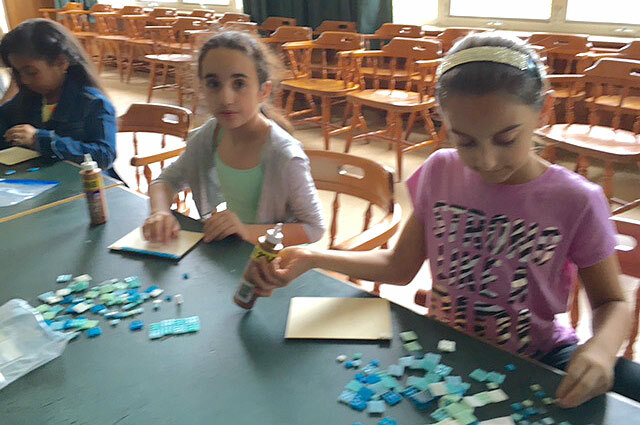 In various sessions students will learn about different subjects such as miniature painting, calligraphy, carpet weaving, traditional music, tile making and ceramics through fun lessons and art projects. The school's mission is to promote the Persian language and the rich Iranian culture to the new Iranian generation with the help of experienced teachers. Any additional questions, please contact school Director Mrs. Sholeh Sharifi at (516) 343-0047. 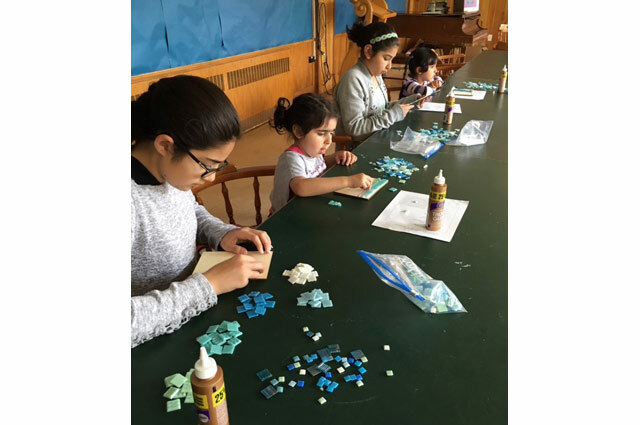 For the third year, on April 2, 2016, the Iranian American Society of New York's Ferdowsi School in Long Island began its Iranian art and culture classes. The classes are designed and taught by Ms. Roshanak Keyghobadi, who holds a doctoral degree in Art and Art education from Columbia University, NY. 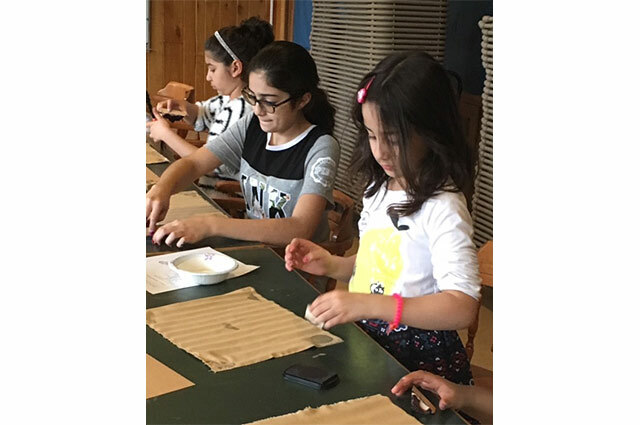 The classes are offered in six sessions and in each session students are introduced to Iranian art and culture through carefully planned lessons and fun art projects. 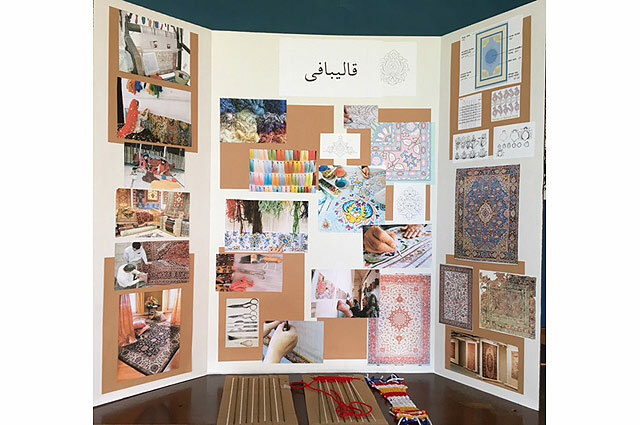 Since 2014 our students have been introduced to Miniature Painting, Calligraphy, Qalamkar, Tilemaking, Carpet weaving, Pottery, Traditional music, Stories of Shahnameh and Iran’s Geography. On certain occasions, guest artists are invited to class for special demonstrations and to share their knowledge with the students. These guests have included Mr. Majid Khosrowshahain (for calligraphy), Ms. Hengameh Shirazi (for carpet weaving) and Mr. Hedayat Shafeei (for traditional music).